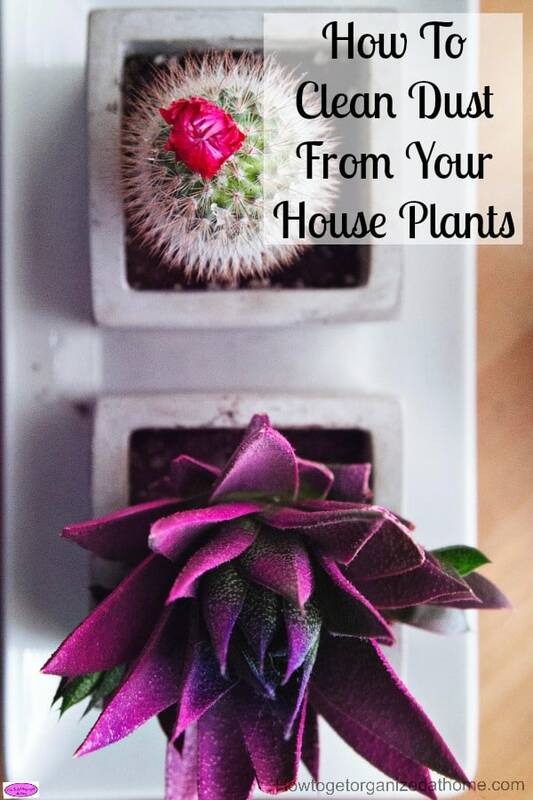 If you are keeping your house clean and love house plants then you need to clean these too! After all, if they’re covered in dust, not only does it look unappealing it is also bad for the plant too! Try to clean dust from your house plants regularly to keep them healthy! 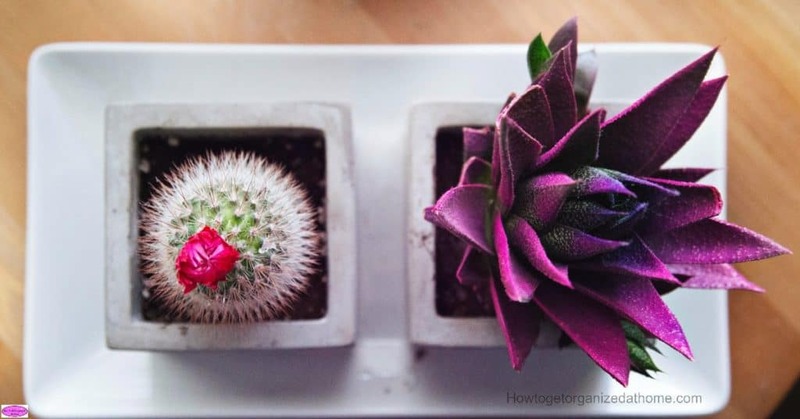 There are some simple ways to keep your plant’s dust free and they don’t have to involve some weird old wives tales either! Keeping your household plants clean is just something you should do, it’s beneficial to your plant and your home too! A plant is a living thing and if it’s covered in a layer of dust, the ability to live becomes a challenge, it can’t pull in the carbon dioxide or release much oxygen if its leaves have dust on them! Keeping your plant healthy and alive means ensuring that you are doing everything you can to ensure it has all its needs met. That includes water and feeding the plant and keeping the leaves free of dust and other foreign substances. I like to use a clean and dry paint brush, it is soft and easy to use and for many of my household plants, it works fine! There are one or two that this just doesn’t seem to work and for those ones, I tend to use a damp cloth and just go over the leaves. You can put a plant in the shower and give the leaves a gentle wash, however, you will end up with cleaning up some soil that will spill out no matter how careful you are. With the shower method you also have to deal with damp leaves, if they drip onto your furniture it could damage it! I have used this method in the past but felt that it was, even more, time-consuming as I had to wait for the plants to dry before I was able to put them back out on display! You can put them outside if the weather is warm enough to allow the rain to wash off any dust or dirt off. Whilst, this is a great idea, it does have the potential to damage the plant if the rain is too strong. There is also the process of drying the plants before bring them back inside! I have heard some weird options for cleaning plants from using mayonnaise and banana skins to get the leaves to shine! For me this just makes me think of creating an environment that will potentially increase the risk of bacteria and other unpleasant growth on these plants. I would also imagine that if you don’t remove the mixture not only will you increase the risk of a nasty smell but you will attract more dust as it will leave a sticky residue behind! If you want the leaves of your plant to shine, keeping them clean and dust free will enable this healthy glow from your plants. However, if you are looking for that new leaf shine, you can get this through commercial products specifically designed for the plant in question. Typically it is the big leafed plants that you are able to manipulate this shine on, you won’t manage this with plants like cacti or a hairy leafed plant like an African violet. Dusting your plants is not something you want to rush, they are after all a living thing and giving them the care they need without rushing I think makes all the difference. If you go slowly and carefully when brushing or wiping the dust, you don’t want to press too hard as this could damage the leaf and the stem of the plant. The bigger the plant the longer it is going to take, however, the same with other cleaning, the more often you clean your plant the less dust will build up, making the task less demanding than if it was something you only do in the spring as part of your spring cleaning ritual! Therefore, if you are looking at the best way to clean your house plants, use clean warm water on a soft cloth or just brush away the dirt with a dry and clean paint brush. It will allow your house plant to breathe properly and to improve the air in your home too! Looking for more cleaning articles? 6 Spring Cleaning Essentials You Need To Try is a great place to start!